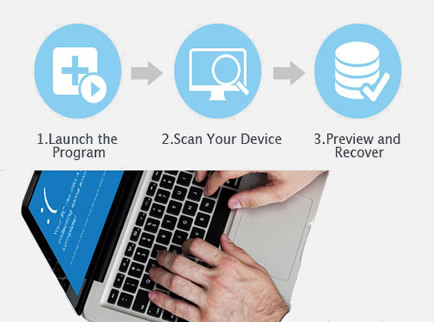 Deeply Scan and Thoroughly Retrieve Android Lost Data on Mac, Easy and Safe! • Deep scan 3 storage system: SIM Card, internal, memory and SD in fault. • Effectively recover 8 data types: contacts, SMS, call history, photos, videos, WhatsApp history and other files. • Preview and Then Simply select only the files that you want to recover. • Messages, contacts can be exported as VCF/CSV/HTML formats. Under daily usage, there are many factors can lead to Android data loss such as file system corruption, virus attack, accidental formatting, mistakenly deletion, etc. No matter the reason for the data loss on Android, you still have a chance to get your data back. 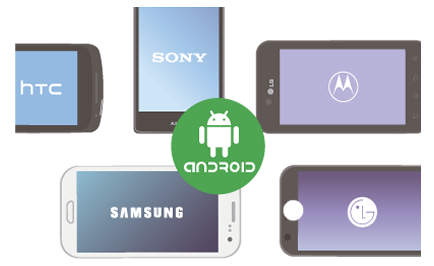 Retrieve data due to accident deletion on your Android device. 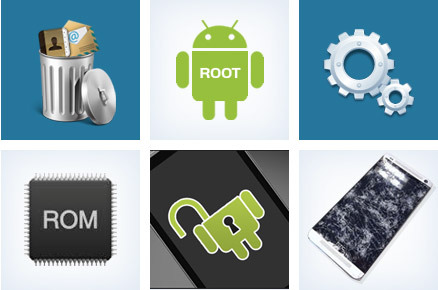 Retrieve the data that disappeared after rooting Android devices. Your Android phone was damaged and can't access the data on Android. Data was gone after restoring Android to factory settings. This application was completely redesigned for Mac system and combined the newest technologies. The simple clean interface guides you to your lost data in no time. You are literally one click away from your data from Android phone and tablet. The advanced algorithms provided in this Mac Android data recovery software enables users to thoroughly scan the lost data and even damaged phone. Standard Scanning Mode: you can choose to scan the deleted files or scan all files, if you select to scan all files it will take longer but can find more completed files. Advanced Scanning Mode: It will deeply scan all storage system on you Android phone, but this will take you more time. Call history: It's capable of recovering incoming and outgoing calls. WhatsApp: Restore WhatsApp history and contacts. Photos, Videos and other Files including emails, documents in DOC/XLS/PPT/PDF/HTML/PST formats. This Mac Android recovery program has been integrated with advance algorithms feature that allows users to perform recursive scanning for lost data, and show the all found files in hierarchical structure, once the tree is formed, you can double click on the file and select“Preview” option. This would display preview of the file. Preview Files : It enable users to preview details of contacts, photos, messages, etc. and check whether they are indeed what you want before recovery. Export: Export text messages in TXT and XML formats to Mac, and contacts can also be exported to VCF/Vcard for easy transferring to Mac. Galaxy Note 8, Galaxy S8/S8+, Galaxy S7/S7 Edge. Galaxy S6/S6 edge, Galaxy S5, Galaxy Note 5/4/3, HTC U11/M10/M9, OnePlus 5/3T/3/2/X, LG G6/G5/G4/G3, Moto Z/X/G/E, Xperia XZ/XA/Z5/Z3, Huawei and other more..
Galaxy Tab 3V, Galaxy Tab A 9.7/8.0, Galaxy Tab 3 Lite 7.0 VE, Galaxy NotePRO 4G, Galaxy Tab 3 3G, Galaxy Tab f3 Wi-Fi, Galaxy Tab 3 Wi-Fi, Galaxy Note 8.0 LTE, Galaxy Note 10.1. Available to Android 8.0, 7.0, 6.0, 5.1, 5.0.2, 5.0, 4.4, 4.3, 4.2.x, 4.1.x, 4.0.x, 3.2 and earlier. "Guys, I just purchased this Mac android recovery app and luckily restored my deleted contacts and photos on my Galaxy S5. What a relief, wonderful product, thanks for your help, "
"Many thanks for this, My lost text messages has been successfully recovered using your software. The data was wiped completely after factory restore reset, This was a friend's data, which I have no backup, it was a great relief when your app brought it all back.